A day after a massive easing of key lending rates by India\'s central bank, a barometer of the Indian equity markets rose 206 points or 0.80 percent during mid-afternoon trade on Wednesday. A day after a massive easing of key lending rates by India's central bank, a barometer of the Indian equity markets rose 206 points or 0.80 percent during mid-afternoon trade on Wednesday. The Indian equity markets continued their upward trajectory after the Reserve Bank of India (RBI) on Tuesday cut key lending rates by 50 basis points. The markets were anticipating an easing of only 25 basis points. 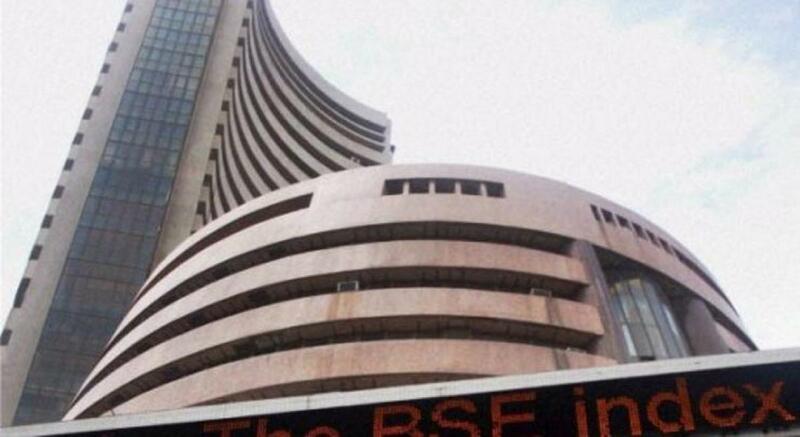 The barometer 30-scrip sensitive index (S&P Sensex) of the Bombay Stock Exchange on Tuesday closed with gains of 161.82 points or 0.63 percent. Monetary easing coupled with a dovish outlook by the central bank, strengthening rupee value and stable Asian markets also supported the markets. Furthermore, the Supreme Court's verdict in favour of Mauritius-based foreign fund Castleton Investment, has shed more clarity over the applicability of minimum alternate tax (MAT) on foreign portfolio investors (FPIs). The government on Wednesday told the Supreme Court that it will abide by its earlier circular-- which proclaims that MAT levy will not be applicable on companies investing through the Double Tax Avoidance Agreement (DTAA) route, and for those which are not required to be registered under the "Companies Act". The government has already accepted the Justice A.P. Shah committee's report on MAT that says that the levy should not be applicable on FPIs. On Wednesday, the wider 50-scrip Nifty of the National Stock Exchange (NSE) was trading with gains of 55.60 points or 0.71 percent at 7,898.90 points. The S&P BSE Sensex which opened at 25,986.52 points, was trading at 25,984.30 points (at 1.30 p.m.) -- 205.64 points or 0.80 percent up from the previous day's close at 25,778.66 points. The Sensex had so far touched a high of 26,079.07 points and a low of 25,918.21 points in the intra-day trade. Market observers said the markets continued their upward trajectory on the back of 50 basis points "booster dosage" that they received on Tuesday which was coupled with a dovish outlook given by the apex bank. "The markets and the rate sensitive stocks like automobile, capital goods, real estate and banks continue to react very positively to the yesterday's rate cut decision," Anand James, co-head, technical research desk with Geojit BNP Paribas Financial Services, told IANS. "The clarity on the MAT issues coming via the Supreme Court judgment has also supported the markets. The verdict should smoothen the nerves of foreign investors and restore their confidence in the Indian markets." Vaibhav Agrawal, vice president, research, Angel Broking, told IANS: "The Indian market opened in the positive today, tracking Asian peers. The rupee too is trading strong, thus lending further support to the equity market."